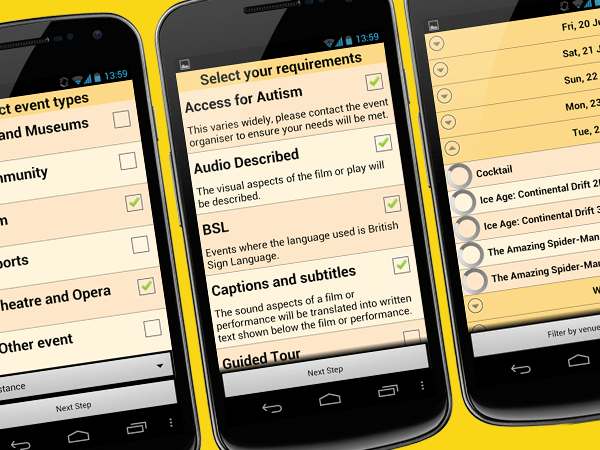 The Accessible Event Promotions Android app that allows users to search for all accessible arts, community, cultural and leisure events in the North West – for example cinema screenings with subtitles or art exhibitions with sign language guided tours. 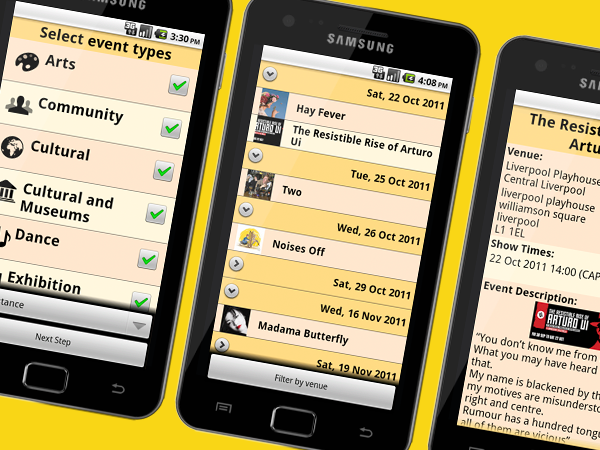 Available on the Android platform, it is currently being developed for cross-platform use. Andy Nugent, Director at Ravensoft, commented: “We were very pleased to be approached by AEP to develop the app. Mickey Fellowes, executive director at AEP, added: “We chose to work with Ravensoft because they immediately recognised how important an app like this could be.